Have you heard of Amazon fulfillment program and wonder what does fulfilled by Amazon mean? I came across many queries and where people are curious about the FBA program and asking ‘what does fulfilled by Amazon mean’. Fulfillment by Amazon has been getting much attention since Amazon has been generating more than 50% of its revenue through 3rd party seller. What is the 3rd party seller? They are the seller who bought the products from some other marketplace, like Alibaba and sells it on Amazon platform against some fees charged by Amazon. Through Fulfillment by Amazon, most of the buyer has become about the product and want to get to know that does this product belong to Amazon or not. FBA (Fulfillment by Amazon) program is a service for the seller that makes the process of storage, packaging, and shipping easier. The seller only needs to ship the product to any fulfillment center from there Amazon will pick the product, pack it and ship it to the customer that seems like an Amazon product. How Fulfillment By Amazon Works? Amazon FBA works as a third party shipment, in other words, you outsource your shipment and inventory storage and customers services to Amazon. 1: You need to send your products to Amazon warehouse. 2: Amazon will store and pack your products for orders. 3: Customer purchase your product from your Amazon store. 5: Lastly, Amazon will ship the product to your customer. That’s how Amazon FBA program works. Amazon charge some fees for their services that vary from product type and size. When the customer receives the order it comes in Amazon packaging also Amazon handle the customer support service in FBA, so many customers think that they are buying directly from Amazon. Although, Amazon does not hide about FBA, when you order something from Amazon you can easily recognize either it is coming from Amazon directly or from FBA. If you are a merchant and want to about how Amazon will charge for their services, here FBA calculator will do the math for you. All you need to do is run your numbers in the App and it will show you approximation fee for the FBA services. What is the difference between Sold by Amazon and Fulfilled by Amazon? When a customer buys a product from Amazon it could be the product of Amazon (Sold by Amazon) or the 3rd party seller (Fulfillment by Amazon). If you want are a merchant and willing to send your product as 1st party seller (means ship and sold by Amazon) then you have to register yourself through vendor central. The items listed as sold and shipped by Amazon are the items that Amazon purchased from their multiple vendors and then they sell them as Amazon’s product. Amazon will inspect the product themselves and will take complete responsibility of any counterfeit case. Prices will be decided by Amazon. Amazon will take care of all the issue of refund and return. The items listed as Fulfilled by Amazon are the third party seller (items acquired from sellers). Amazon will do the packaging and shipping on behalf of the seller. The product quality and delivery will be the responsibility of Amazon – however, the product is not owned by Amazon. Prices will be decided by the seller not Amazon. Refund is possible if there is any issue with the product, the replacement will be done by seller’s decision. FBM (Fulfillment by Merchant) is when you sell from Amazon seller central account and do all the process of storage, product handling and shipping by yourself. Here you do not need to pay any service fee for shipping and storage to Amazon. This method gives you the complete authority of your product and increases the profit ratio as you take the control entirely to yourself. Multi-channel fulfillment is a subsidiary of Fulfillment by Amazon program. It works in the same way as FBA, Amazon store your inventory in its warehouse and pick it, pack it and ship it to your customer. The order can come from anywhere either your ecommerce site or any other ecommerce site Amazon will fulfill it for you. SFP (Seller Fulfilled Prime) helps you earn the prime badge for your product. You can directly sell to the domestic prime customer from this program. You have to earn on the basis of a trial period. In this method, you are responsible for storage, packaging, shipment and customer support service. Once you successfully completed your trial period you will be enrolled in the SFP program and the prime badge will be displayed to the customer. No hassle of handling, storing and keeping the inventory. Stock keeping and shipment is a higher-level task that is not an easy job to do for newbie entrepreneurs. By using third-party fulfillment, you would be relieved from a major burden and you can focus on other tasks to scale up your online business. Amazon provides many incentives in the FBA program including the tag of Amazon Prime seller and free two-day shipment along with topnotch customer services of Amazon. Apart from the benefits of Amazon, you can also scale up your business and take it to the global level by Amazon’s worldwide reach, its giant warehouse storage services and cutting-edge fulfillment methods. 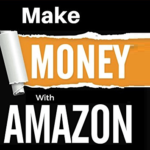 Amazon has the world’s largest customer base; with FBA program, you can easily access it. Everyone on Amazon is fighting for survival. Although FBA businesses receive greater benefits than non-FBA businesses, even that does not guarantee your business survival and profits. Amazon marketplace knowledge is necessary to ensure your business’s success on this giant platform. You will have to look after the competition and have real-time information on your best performers in the short and long term. Amazon provides similar opportunities for your competition as well which makes it difficult to grow the business. To achieve the business growth you need to keep an eye on multichannel opportunities. Persistency: In online business, you will have to have the patience to taste success. Do research; find product category and continuous product testing. And do not afraid to go a little wild with your approach. Have a large Product Listing: Only one of two products comes out as a winner but for that, you need to have a decent product offering to find out your bestselling product. The large product also helps to increase your rank on Amazon search engine as you can cover more keywords. Aim for the Best Seller Rank: It helps to increase the sales, strong the store credibility and improves customer’s trust for your store. In addition, when it comes to selling your business BSR plays a vital role in increasing the worth of your business. Have an Ecommerce Store of Your Brand: As your FBA business grows, you will need to have a professional website or ecommerce store for your brand. It adds the major credibility in your brand name and gives the opportunity to attract the potential customer by gaining their trust in your brand’s authenticity. Become an Amazon Associate: By becoming Amazon associate, you can increase your revenue with affiliate marketing program of Amazon. Refer customers to your products listed on Amazon from your own site, and start making a commission on sales. Fulfillment by Amazon is great support for the new seller who wants to earn money without getting into the hassle inventory management and order deliveries. However, the rise third-party sellers have made the customer curious to know what does Fulfilled by Amazon mean and start questioning about the Amazon product credibility. Amazon may not own the product when it’s shipped by FBA but the product quality assurance is still Amazon responsibility. While packing and shipping the FBA program products, Amazon makes sure the quality of the product should be up to the standards of Amazon. So, it does not matter if your product is coming through ‘shipped by Amazon’ or ‘FBA’, it would be Amazon’s responsibility to provide you the impeccable product. In case of any unwelcome event happen to your ordered product Amazon help support is there 24/7 for your assistance.